INDIANAPOLIS – Helio Castroneves would like nothing more than to join A.J. Foyt, Al Unser and Rick Mears as the only four-time winners of the Indianapolis 500. That would be special any time, but even more so if he accomplishes the feat on Sunday in the 100th running of the race and the 50th anniversary for team owner Roger Penske at the Indianapolis Motor Speedway. “Definitely, for the record books, it would be fantastic to be the winner of the 100th running. It would be very special,’’ said Castroneves, whose victories here came in 2001, 2002 and 2009. Those wins are among a record 16 Indy victories for Team Penske. But another on Sunday would be special. The race day forecast is for temperatures reaching into the high 80s, meaning a very tough 500 miles for the 33 drivers on the starting grid. “With the body, it’s dehydration (that is a problem), especially with conditions that are expected Sunday,’’ Castroneves said. “With the mind, it’s tough because sometimes you face conditions that you didn’t face in practice. RELATIONSHIPS: It seems genetics may have something to do with developing Indycar drivers. Generations of family members have raced in the Indianapolis 500. Fathers and sons and grandsons and brothers have dotted the lineups throughout the 100 races at the Brickyard. Matthew Brabham, who will start 27th on Sunday, is carrying on the tradition. Matthew Brabham brings great bloodlines to Indy. four times, finishing ninth as a rookie in 1961. Matt’s dad, Geoff, raced at Indy 10 times, finishing a career-best fourth in 1983. Talking about his grandfather, who died in 2014, Brabham said, “He would have a massive smile on his face, bigger than mine over the last month. 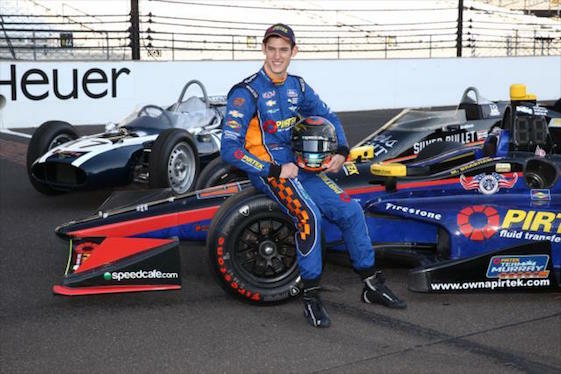 Other three-generation families who have raced at Indy include the Foyts: A.J., Larry and A.J. IV; the Vukoviches: Bill, Bill II and Bill III; and the Andrettis: Mario, Michael and Marco, who will start 14th on Sunday. MISSING JUSTIN: Stefan Wilson, one of five rookies in Sunday’s race, is feeling the loss of his big brother this week even more than usual. 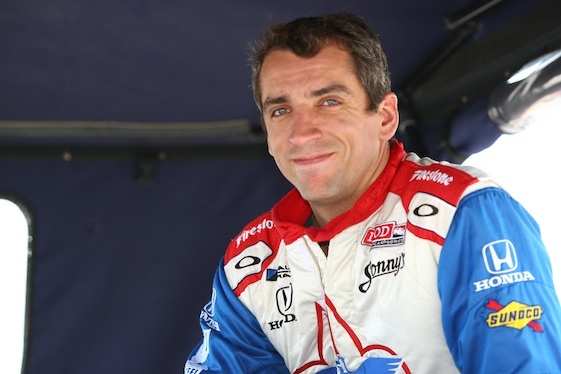 Justin Wilson is gone but not forgotten at Indy. who was killed in a racing accident last August at Pocono. “The only thing missing is being able to get advice from Justin,’’ Stefan noted. “I always imagined him being here when I turned my first laps and being able to go to him and ask him you know, ‘What is this about?’ or ‘What should I feel here, or what does this feel like?’. “I would love to get his answers and his lessons that I could learn off of. I am just trying to think back to all of those years that I followed him here and spent time with him here at Indianapolis. GREAT RIDE: Tony Kanaan, who won the 2013 Indy 500, is as excited as anyone about the opportunity to race in the historic 100th race here. 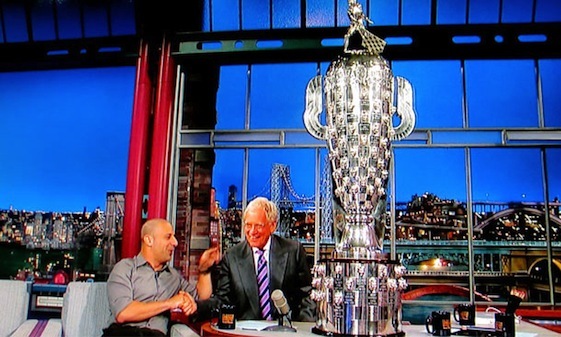 Tony Kanaan knows what winning Indy means. Asked about his favorite memories of his 14 previous Indy races, Kanaan, who was the fastest driver in Friday’s final “Carb Day’’ practice session, said, “I have so many but the parade on Saturday, the interaction with the fans, for me is what I get the most kick out of it. NOT SO HARD: While some drivers insist that Indy’s almost-flat 2 ½ mile oval is one of the toughest places at which they race, five-time starter Sebastien Bourdais disagrees. “I wouldn’t say it’s the hardest (track) by any means,’’ said Bourdais, who will start 19th on Sunday. “I think it’s one of the easier ovals. “Obviously, it is not easy to win (the race) or easy to master but, when you come to this place with a decent car, it’s not the hardest track by a long shot in my mind. STRONG RECORD: Defending Indy 500 winner Juan Pablo Montoya took the first of his two Indy 500 victories in 2000, the only rookie to win here since Grham Hill in 1966. He then spent 14 years racing in Formula One and NASCAR before returning to the Indycar series in 2014. Montoya finished fifth in his return to the speedway, then gave Roger Penske his 16th Indy victory last year. Montoya, who seems to have Indy dialed in pretty well, will start 17th on Sunday, two spots worse than his starting position a year ago. He will certainly be among the favorites again this year. “Last year was easier because the cars were easier to drive,’’ Montoya said. “My car last year was really, really good. They are a little harder this year. 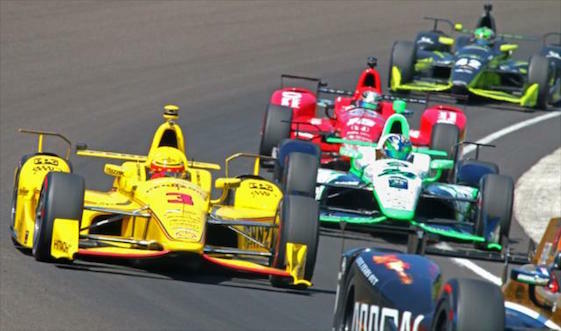 The Indy 500 just wouldn’t be the same without Mike Harris’ comments and insights. I have been reading his articles and colums for well over 20 years. He always makes me feel like I have a front row seat. Keep up the great work.